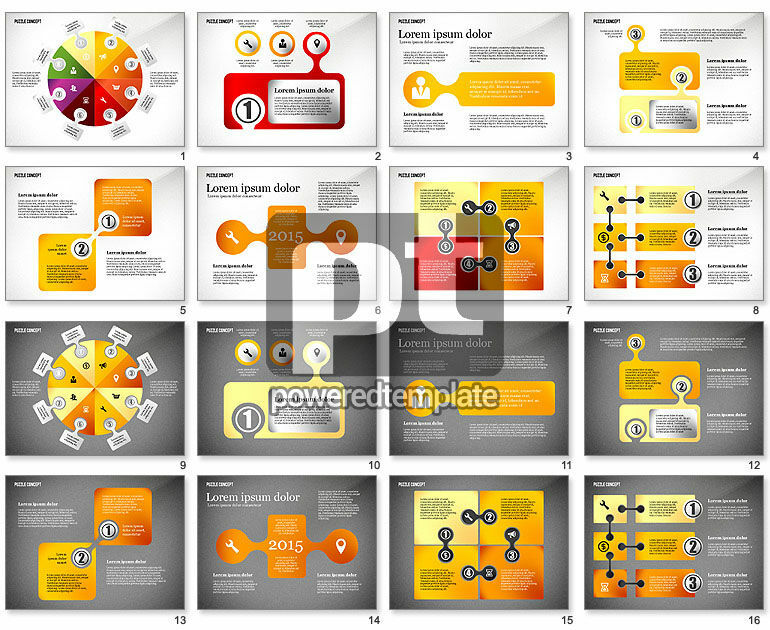 These presentation slides 47271 are complete compatible with Google Slides. Simple download PPTX and open the template in Google Slides. A stunning universal theme made in a puzzle style with various bright parts will make your presentation look gorgeous and unforgettable. This template is created in a bright yellow-orange and red manner, and may fit a wide range of topics, such as interactions, relations, growth, solutions, alternative decisions and so on in any sphere of business, media, education, sociology, etc.